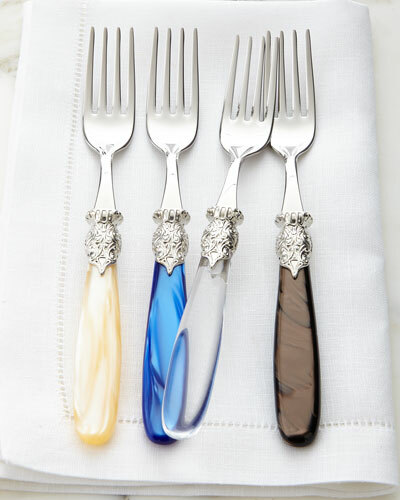 Envision buying high-end flatware to create an exquisite tablespace? 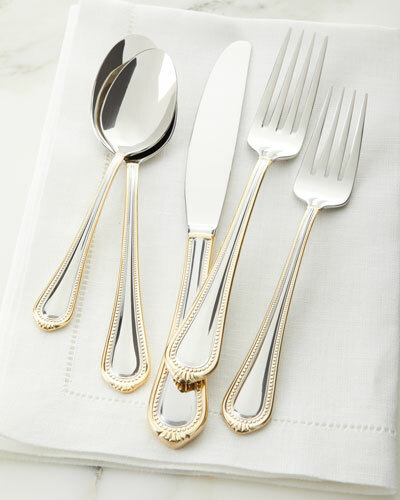 Browse through Neiman Marcus for a plush selection of flatware sets in gold, silver, stainless steel, and more. 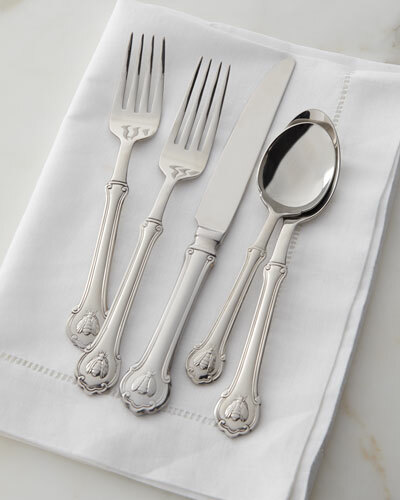 Our luxury flatware collection offers plenty of styles to perfectly suit any occasion. 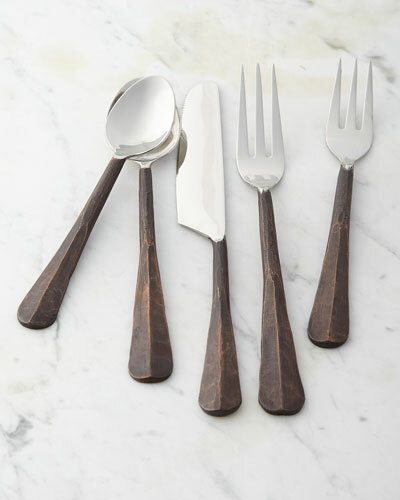 Our collection comprises modern flatware sets crafted by notable designer brands around the globe. 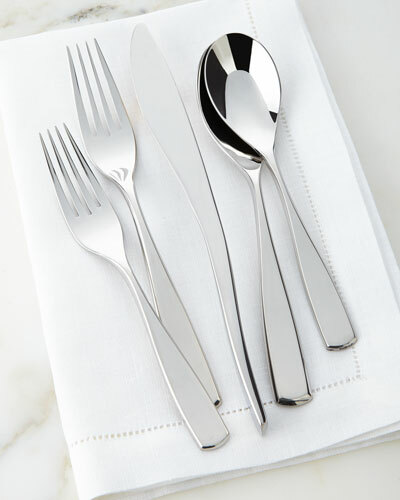 With designs that are elegant as well as contemporary, our flatware sets lend your table a unique look. 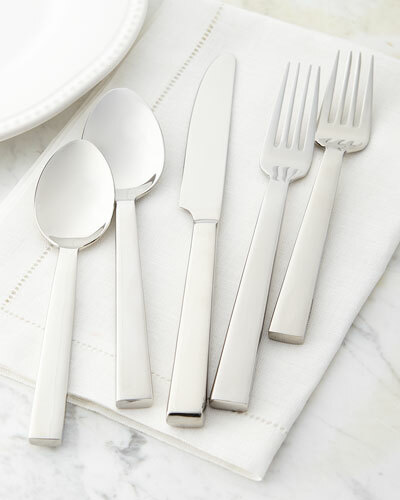 You can create a gorgeous table setting by teaming our flatware with dinnerware made of fine china. 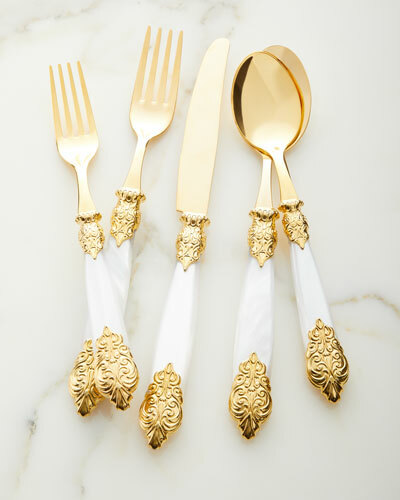 Our silver and gold plated flatware sets are ideal for special occasions like weddings and anniversaries. 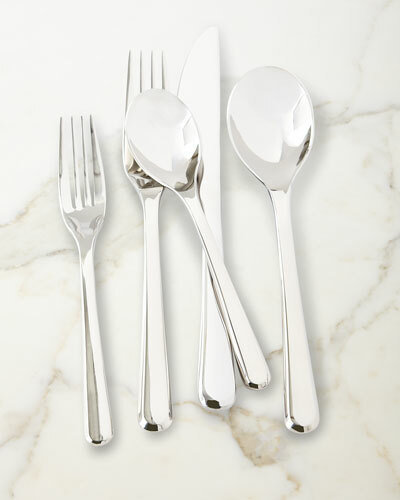 Use our flatware in stainless steel for everyday dining. 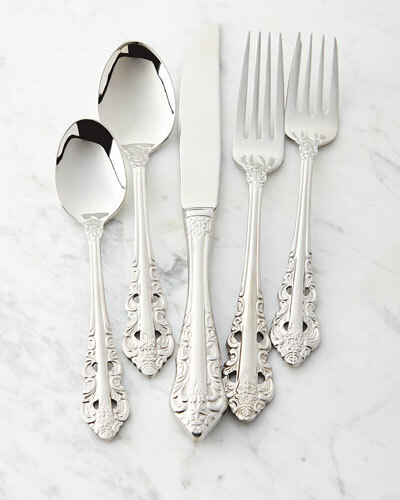 Shop Neiman Marcus’ delightful selection of designer flatware. Made of 18/10 stainless steel with pearlescent acrylic handles. 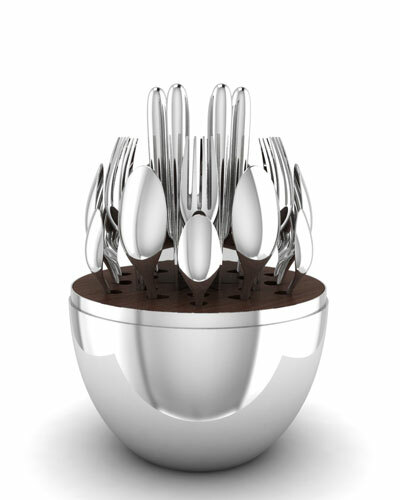 20-piece set includes four place-settings. 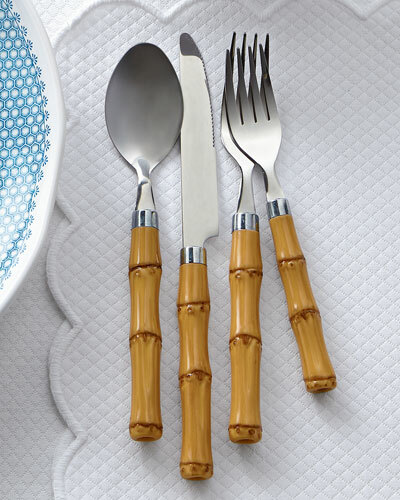 Table fork and spoon, 9.05"L. Dessert fork and spoon, 8.07"L. Knife, 9.65"L. Dishwasher safe. Made in Italy. Handcrafted flatware service. 20-piece set includes four 5-piece place settings. Crafted from the finest 18/10 stainless steel. 13/C stainless steel tempered blade. 18/10 stainless steel for the spoons and forks. Handle in metal acrylic, and bolster. Dishwasher safe. Made in Italy.